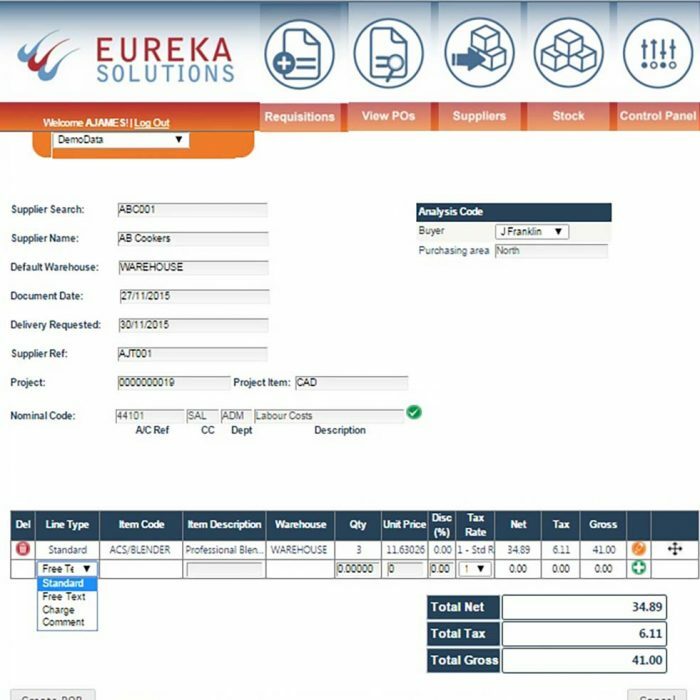 Create, amend and manage purchase order requisitions for Sage 200 from a simple and easy to use web interface. The Web PO Requisitions for Sage 200 module allows users to manage purchase order requisitions in Sage 200 from a web based interface. 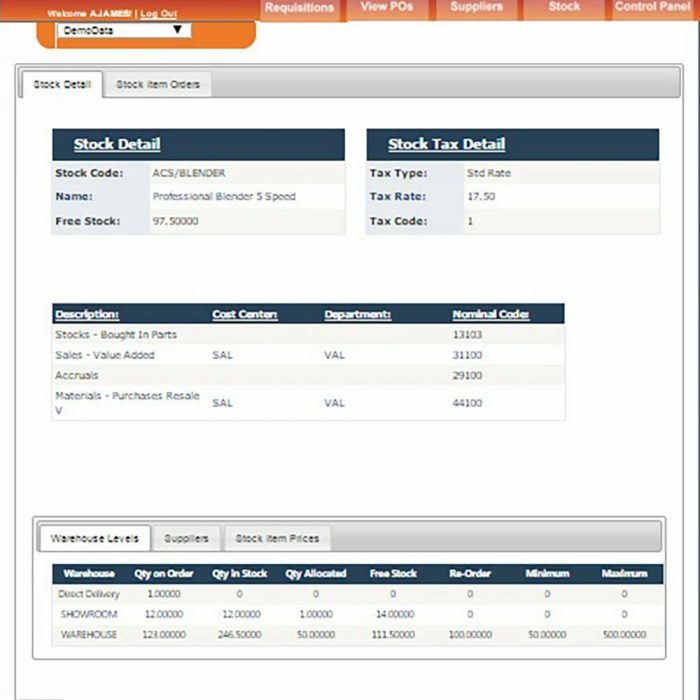 Users can create, amend, view and print purchase requisitions from any browser enabled device including Apple, Android or Windows smartphones and tablets. The module supports single, multi-level and project based authorisation of purchase orders. The entire authorisation process is managed from the web interface and can notify authorisers via email of new requisitions waiting approval. 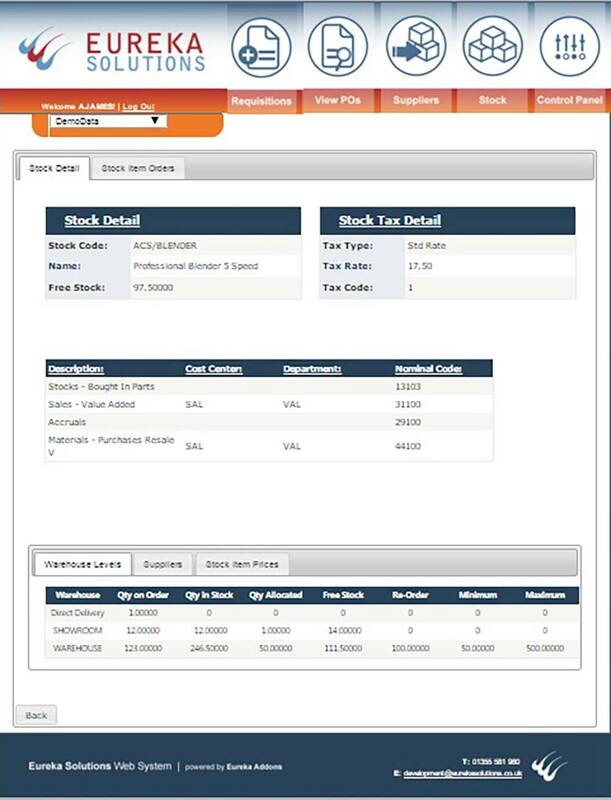 Fully integrating with Sage 200 in real-time, the system allows users to access live supplier and stock information. 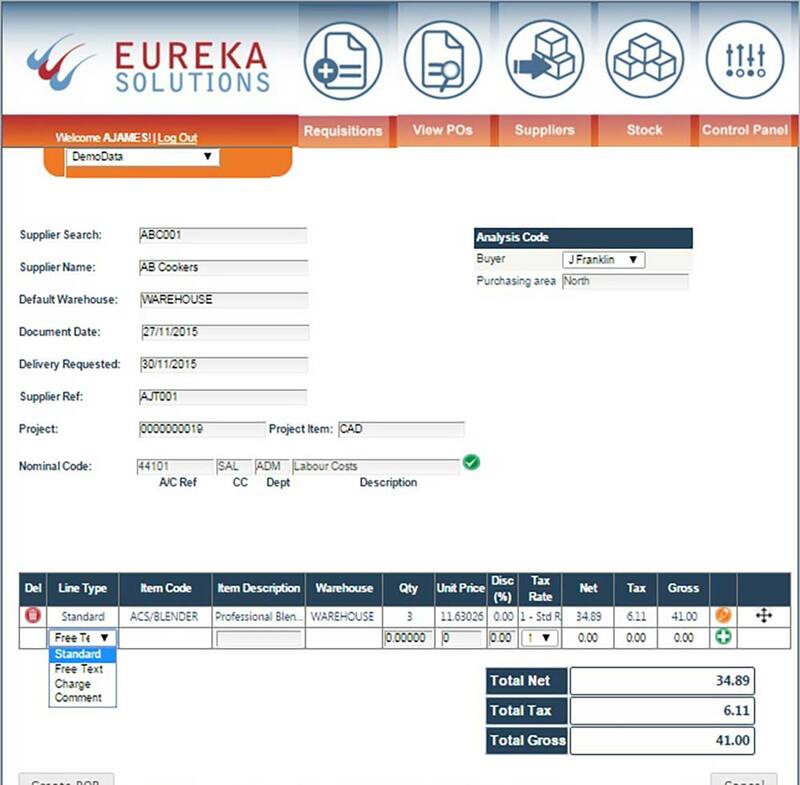 Once approved the system automatically creates a purchase order in Sage 200. All data is held within the Sage 200 database allowing full reporting on the requisition system within Sage 200. Our module has been developed with simplicity in mind. 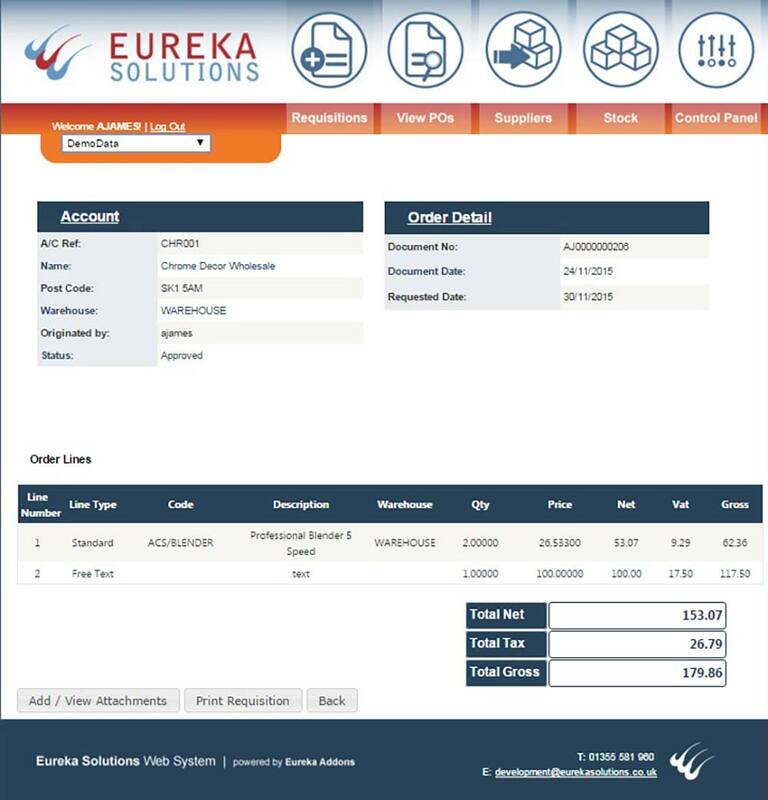 Users can swiftly and easily create purchase requisitions. Advanced supplier and stock look-ups mean that users can quickly find the information they require, even on large data sets. With the browser based interface staff can create and authorise their requisitions anytime and anywhere, for example, locally on your company intranet, or remotely through a mobile device. 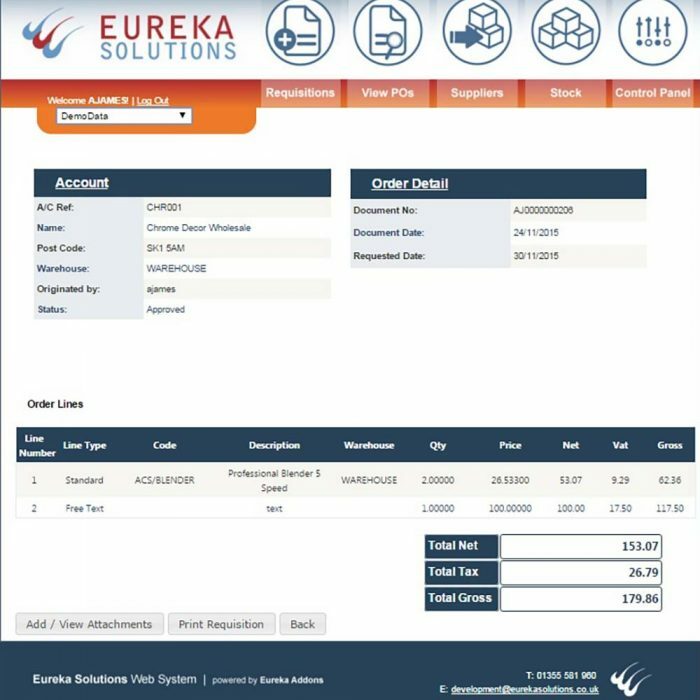 Web PO Requisitions also has advanced features including: document attachment, drag and drop line numbering and the ability to print directly to a PDF. 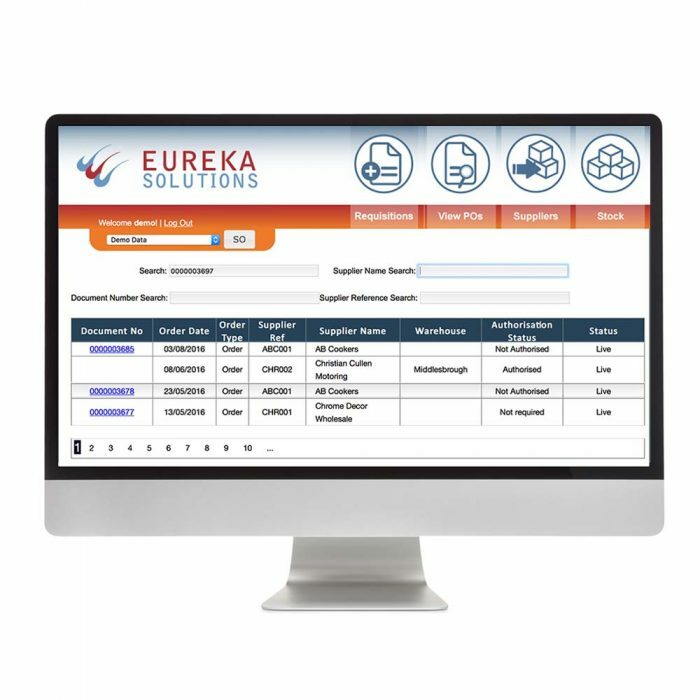 This module gives businesses the flexibility to allow users to create purchase requisitions and follow the authorisation process without requiring licenced access to Sage 200. Follow the link below to demo our Web Purchase Order Requisitions module.